As a child my mum despaired as she had to drag me from the petting zoo. I filled my bedroom with “worm gardens”, caterpillars and ants. I had many hamsters, one of which used to eat breakfast with me every morning and ride in my dressing gown pocket. This fascination with animals led to my adult career. I concentrate on ensuring that the straightforward, positive methods I use can be carried out by everyone and are individually prescribed for your situation. 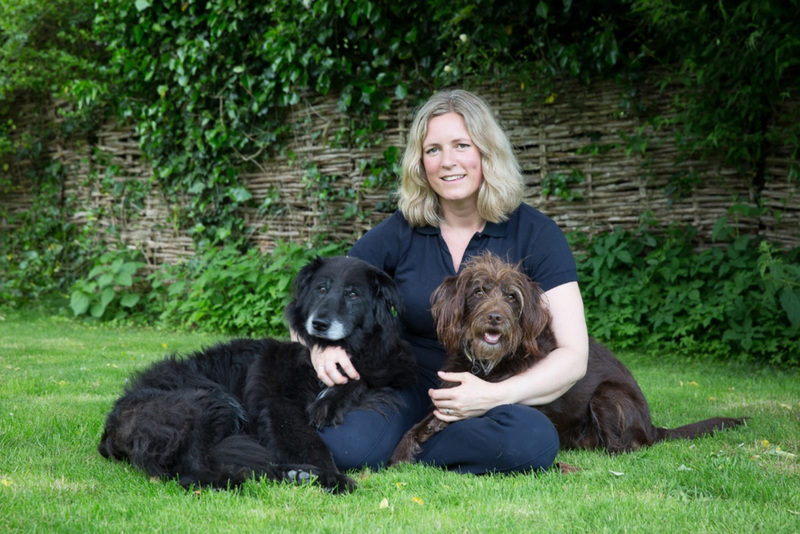 I enjoy working together with the owner to modify the pet’s behaviour ensuring a much happier, healthier relationship. Education; to an honours degree or higher in a biological or behavioural science. Experience; evidence of a significant amount of working in clinical practice. Endorsement; by referring veterinary surgeons and supervising CCABs. This is a prestigious professional accreditation with very demanding entry standards and at present there are only approximately 35 CCABs in the UK. 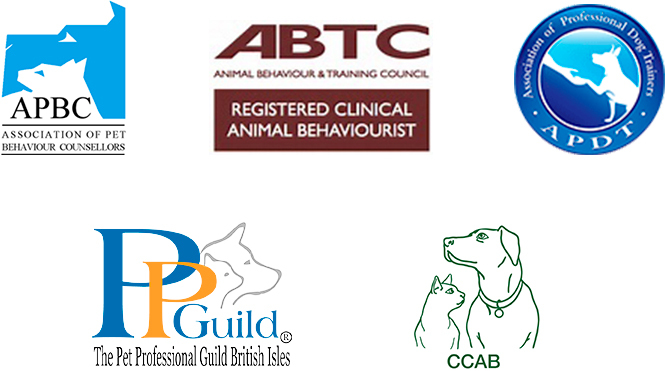 Member of the Association of Pet Behaviour Counsellors (APBC). Membership requires highest professional standards, knowledge and expertise. Click here for more information. Member of the Association of Pet Dog Trainers(APDT). Membership number 0799. The APDT assesses all members according to a strict criteria which ensures they have appropriate skills to teach dog training. We are required to keep our education up to date, and adhere to a Code of Practice. Member of the Pet Professional Guild(PPGBI). This is a membership organisation for professionals committed to results based, science based force-free training and pet care. Head of the Human Psychology and Clinical Practice unit on the BSc (Hons) Applied Animal Behaviour degree course at Sparsholt College, University of Portsmouth. This involves organising the unit, lecturing and examinations for the students. It also involves providing Continued Professional Development lectures for veterinary surgeons and nurses. Would you like to book a consultation or attend classes?